Telling OSHA that an injury was the worker’s fault is a sure way to get inspected, according to the head of the agency. OSHA administrator David Michaels made the comment in a recent speech at a National Advisory Committee on Occupational Safety and Health (NACOSH) meeting. “When employers say an injury was a worker’s fault, an inspection will likely take place,” Michaels said. For the first 5 1/2 months of OSHA’s revised injury reporting rule, the agency received more than 5,400 reports of fatalities, hospitalizations, amputations and losses of an eye. The agency doesn’t have enough staff to send an inspector to every company that reports one of these injuries. Michaels says they’re inspecting in 34% of cases – one out of three. But OSHA is “engaging” with every employer that calls in a reportable injury. OSHA asks the employer to conduct its own inspection to determine causes. That’s where the “careless employees” statements come in. “Employers need to realize, in the words of James Reason, ‘human error is a consequence, not a cause. Errors are shaped by upstream workplace and organization factors … only by understanding the context of the error can we hope to limit its re-occurrence,'” Michaels said. Michaels told the NACOSH meeting that the root cause of injuries is hardly ever the employee’s fault. any other safety and health program deficiencies. For those companies that feel they’ve flown under OSHA’s radar for years and will continue to do so, Michaels has news. But the new injury reporting requirements aren’t just about the penalties. Michaels says OSHA is now picking up on injury patterns through the enhanced reporting. Example: After this year’s flooding in Texas, OSHA became aware of one death and two serious injuries due to storm cleanup. As a result, OSHA warned Texas businesses about electrical and other dangers of storm repair. Michaels says it’s possible those warnings saved a worker’s life. 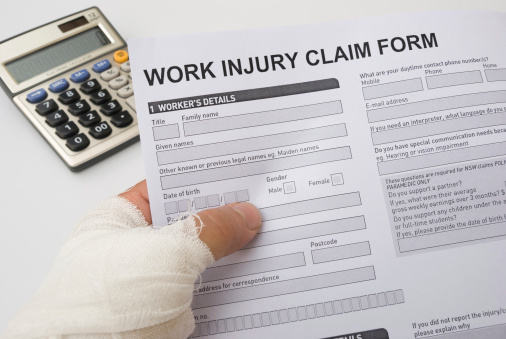 Are you in favor of OSHA’s expanded injury reporting that started Jan. 1, 2015? Let us know what you think in the comments. I’ve always tried to dig as deep as I can in to any investigation. I have found, through experience, that clients don’t want to hear you blame the employee. Saying that, however there have been investigations that I’ve led which the employee bears the sole responsibility for the injury. Taking shortcuts, disregarding procedures, or just not having their mind on their work has caused a lot of incidents I’ve had to report on. I have done the same. It is usually shortcuts and a willful disregard for the procedures that are in place to protect them. You can say lack of training to appease the clients, but the fact is we do extensive training to which I have devoted an incredible amount of time. We test to verify they understand the information, then they ignore it and try to do things a seemingly faster or easier way despite knowing the risks. Most of the incidents I have investigated involving mechanical failure can be included in this since they never want to take the time to inspect their equipment as they are required to do. It gets very discouraging knowing that despite everything you do, there are always those who will disregard it, and some will intentionally put themselves in harm’s way to try to get a law suit out of it. Don’t hire illiterate illegal aliens. They aren’t worth the short term savings.